Jim Humble first began his work in the health field in his early 20’s when he became the manager of a health food store in Los Angeles, California. He authored a 200 question “Nutritional Evaluation Test” that determined the vitamins, minerals, proteins, and fats a person’s body might be deficient in. The test was later computerized and was considered by many to be the most accurate method of determining deficiencies known at the time. Over the years Jim has maintained his interest in alternative health, and worked with numerous healing modalities including healing his own broken neck in record time using magnets. He has authored many successful books and his current developments are outlined in this instruction guidebook. Jim first started his career in the Aerospace industry, where he quickly became a research engineer. He worked on the first intercontinental missile, wrote instruction manuals for the first vacuum tube computers, worked on secret radio control electronics, and dozens of other “state of the art” electronic projects at Hughes Aircraft Company, Northrop Aircraft, General Motors Research Defense Laboratories, and others. After 20 years in the Aerospace Industry, Jim went into gold mining where he developed methods of gold recovery that replace the use of mercury to help overcome health issues for small miners. He wrote 5 books on the subject of recovering gold from its ores. 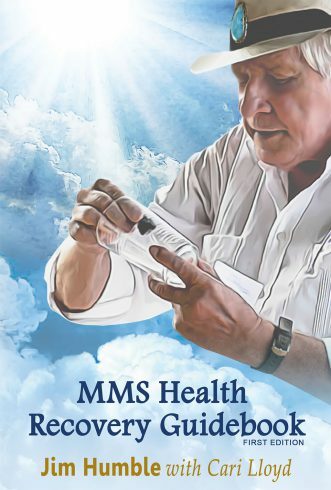 In 1996, while prospecting for gold in South America, he discovered what has come to be known as MMS, a simple health formula that cured malaria. In the years that followed, he worked to further improve the formula. Eventually a missionary group invited him to Africa where he successfully treated over 5,000 malaria cases and victims of other diseases. Since that time, hundreds of thousands of people have used MMS to recover their health from a wide range of diseases.